Board of Directors celebrating technology innovation in meeting during the HETS 2012 Best Practices Showcase. 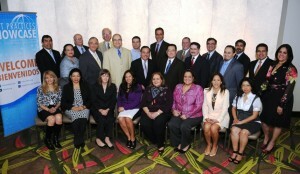 The HETS Board of Directors Winter session was successfully held in San Juan, PR during the HETS 2012 Best Practices Showcase. Representatives of more than 25 member institutions from Puerto Rico, New York, Texas, Pennsylvania, Kansas and Colombia, were present at the meeting and agreed on the priority activities for the next semester. The first session took place, Wednesday, February 15 at the Conrad Hotel as part of the series of events scheduled previous the Best Practices Showcase Conference. A second session was held on February 17, to discuss initiatives and future plans between HETS Board members and its Corporate Partners at the Law School of the Interamerican University of Puerto Rico. Besides allowing the discussion of the key accomplishments of the organization during the first half of the 2011-2012 academic year, this meeting was crucial in the open discussion of the approved Strategic Plan of the organization from 2011 through 2016. Efforts for the second half of this academic year, includes the continuation of the professional development events, including not only the basic but also the advanced online workshops to obtain the HETS Certification: Integración de Nuevas Tecnologías en la Educación Superior. As customary, the HETS Board Meeting also incorporated relevant discussions about the organization’s accomplishments, the actively involved HETS Task Forces, online initiatives, and the launch of the Spring Issue of the HETS Online Journal. A new member institution, Universidad Cooperativa de Colombia, was officially presented to the Board, as HETS new International member. As a result of the meeting, the selection of members of the Nomination Committee took place to lead the way for the election of the next HETS Board of Directors members that will take place during the Summer meeting in New York. The Board had also a chance to share with some of the Consortium’s corporate affiliates, including Blackboard,one of the first ever HETS Major Corporate Partners. A new Corporate Partner (Ednet) was introduced to the Board Members. 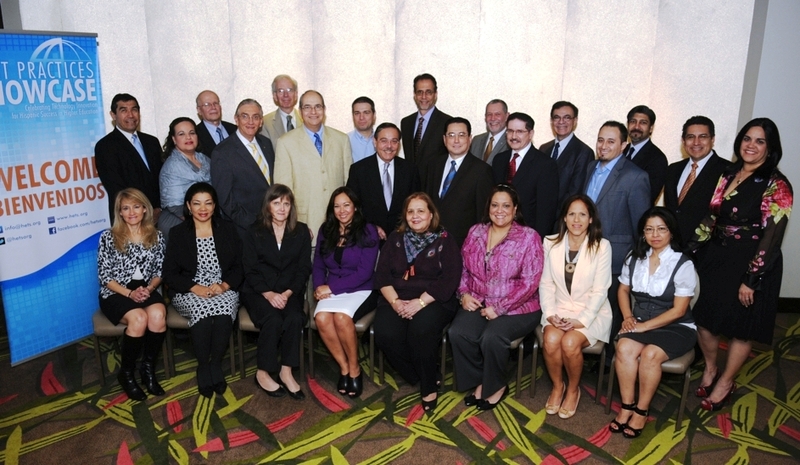 Ednet representatives, as well as the other corporations represented: Educational Testing Services (ETS), Consorcio de Bibiliotecas Metropolitanas (COBIMET) and Cengage Learning had an opportunity to exchange ideas with all Board Members and special guests from the United States Distance Learning Association (USDLA) and Council for Aid to Education (CAE) during this meeting. At the end of the first day of the conference, Board members and representatives, corporate partners, and the HETS staff had the opportunity to participate of the Award Dinner of the most outstanding presentations of the HETS 2012 Best Practices Showcase. For details of the 2012 Best Practices Showcase please click here.